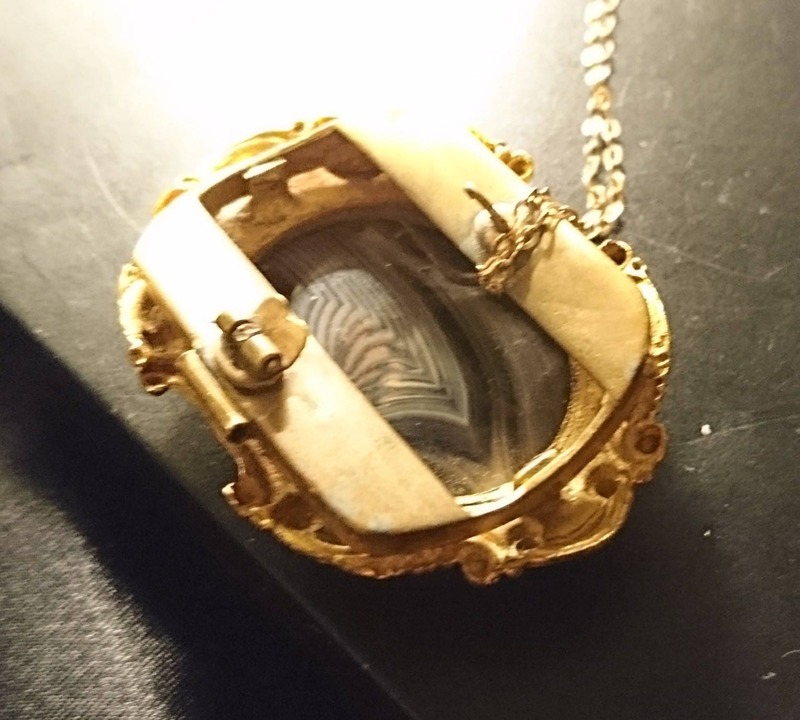 An absolutely beautiful piece of early Victorian morning jewellery. 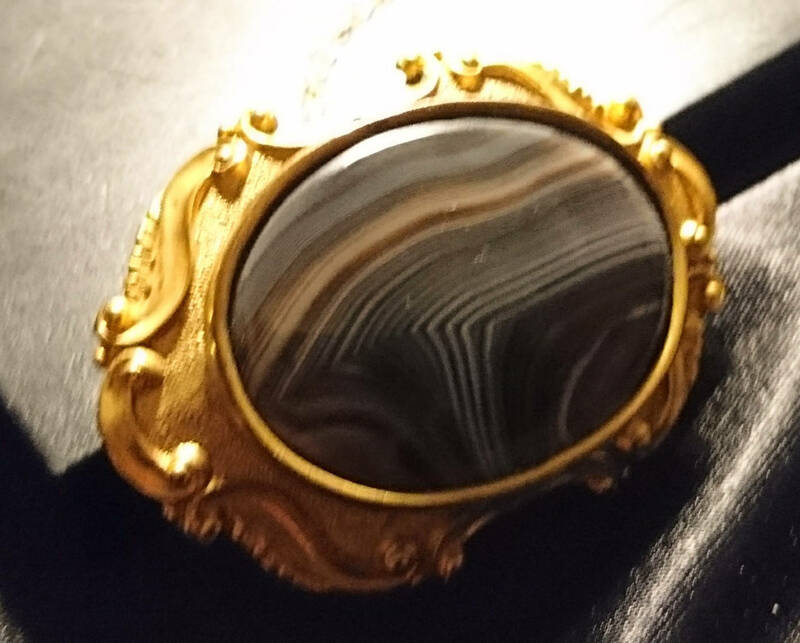 This was a brooch however the pin has been removed and someone has hung it on a chain, the chain is a later piece and is very fine, the pendant / brooch is quite heavy so would benefit from either having a thicker chain or having the pin replaced, it is not designed to be hung on a chain but could work that way and that is how it is now, there is no loop for the chain it has been passed through the fitting. 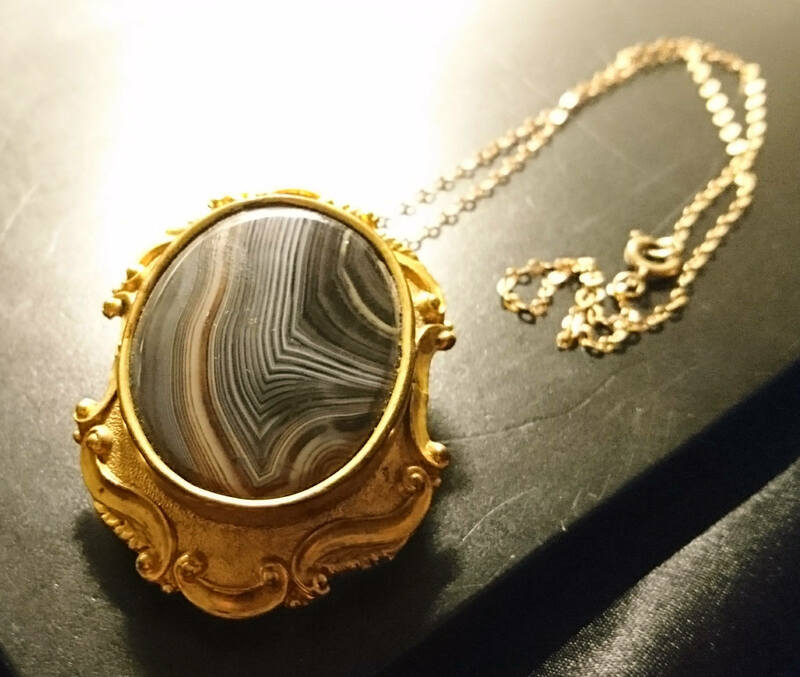 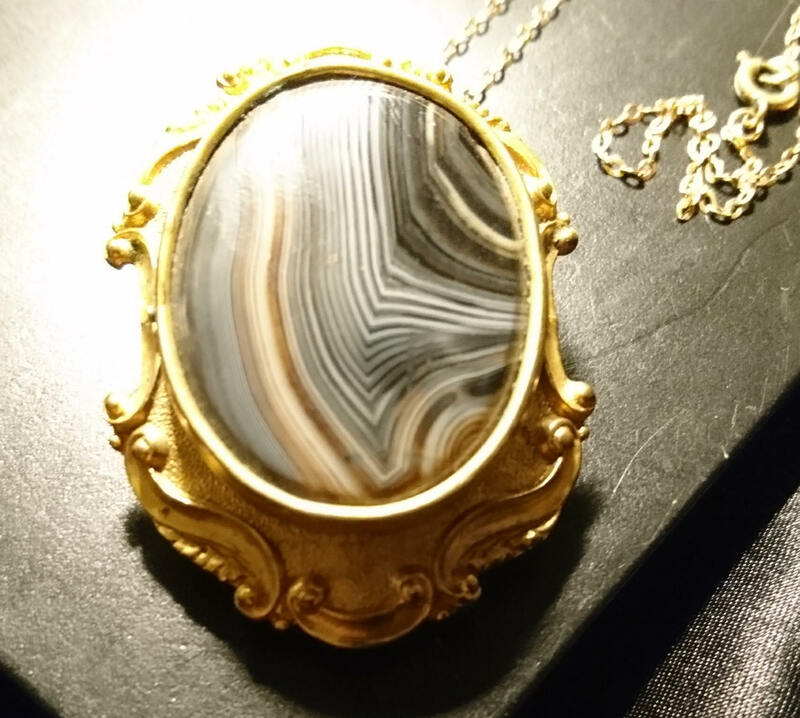 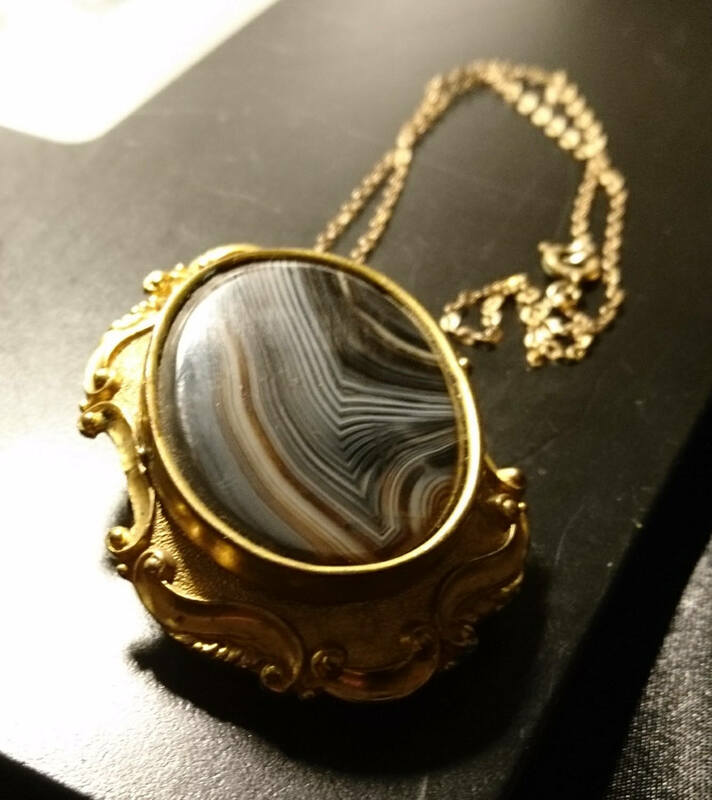 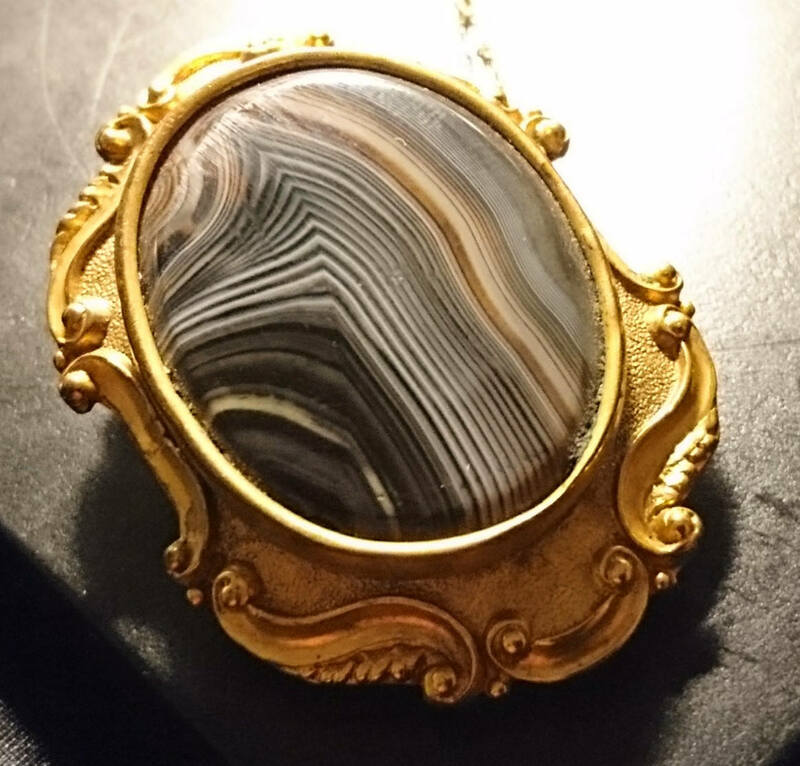 It is crafted from pinchbeck and had a beautiful elaborate frame, the best thing about the piece is the stunning piece of banded and polished agate, a substantial piece of agate with lovely tones and patterning. 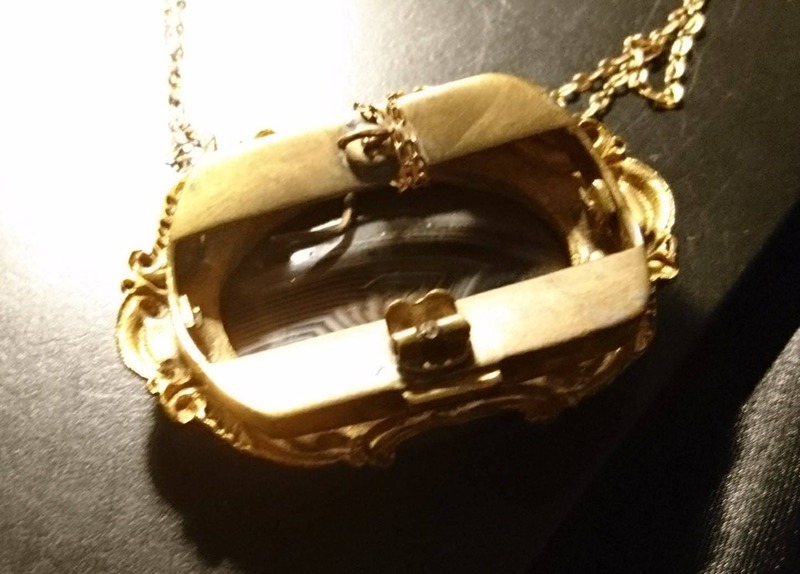 It is a fairly large piece at 1.5" height, 2" width and approximately an 8" chain.